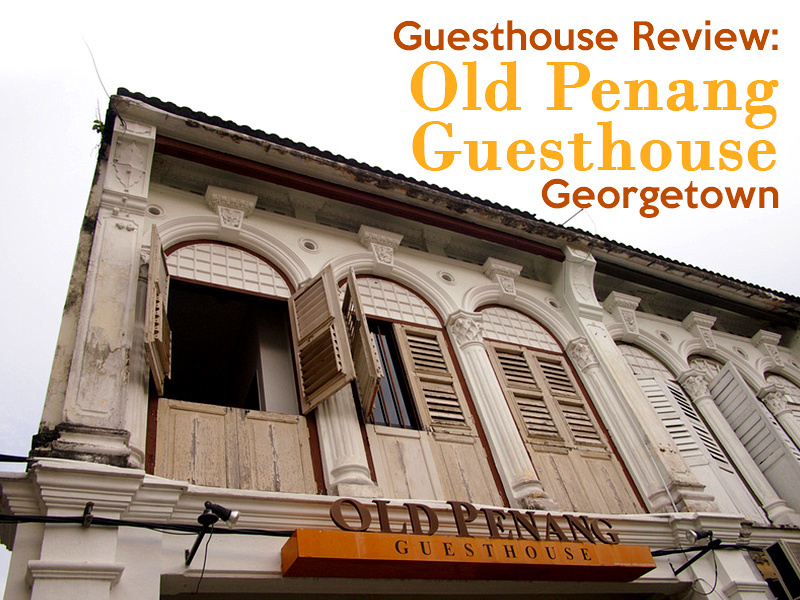 I stayed at the Old Penang Guesthouse in Penang. I booked online and picked it out for its location on Love Lane. Having been to Penang many times before I actually forgot that I had stayed here before a few years earlier, which I realised once I arrived. 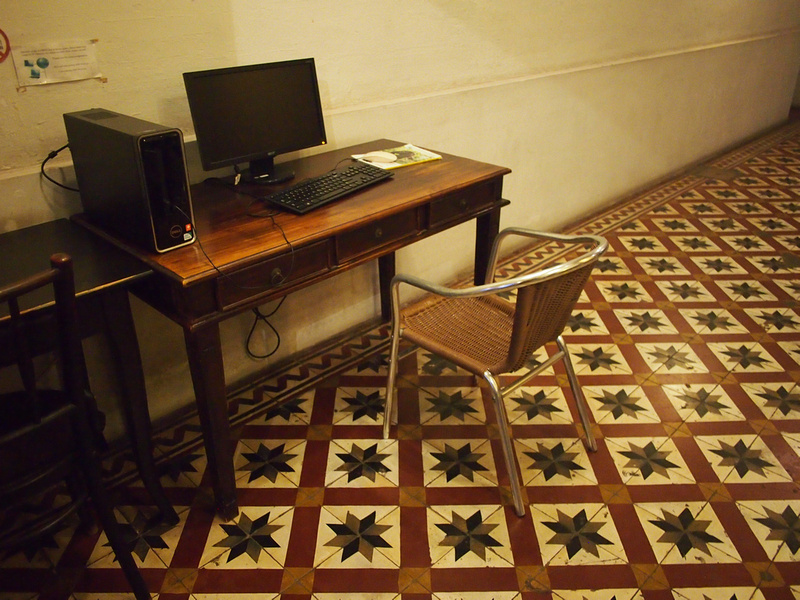 The guesthouse is in a classic old shophouse in the heart of Georgetown. I got a single room with a shared bathroom. My room was at the end of the building in a small box of a room with no window. 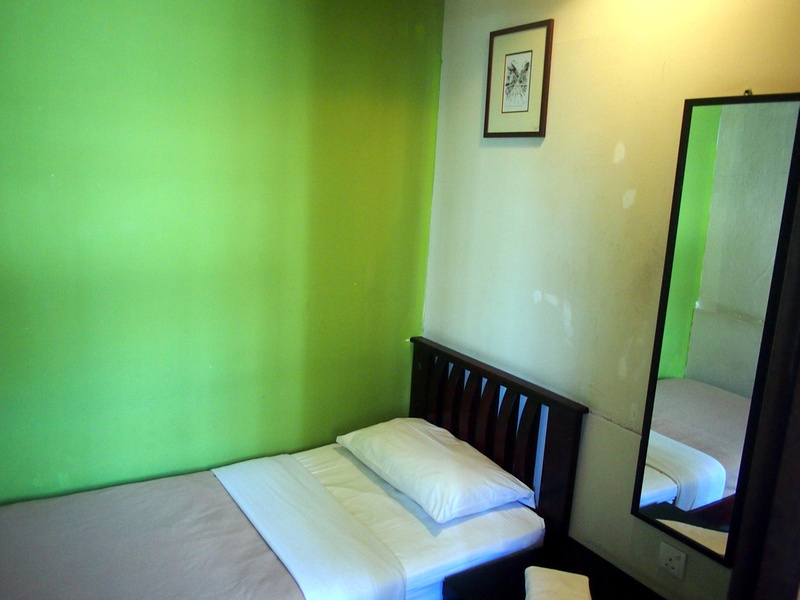 The room was comfortable and tidy, and typical of the Malaysian-style budget guesthouse room. 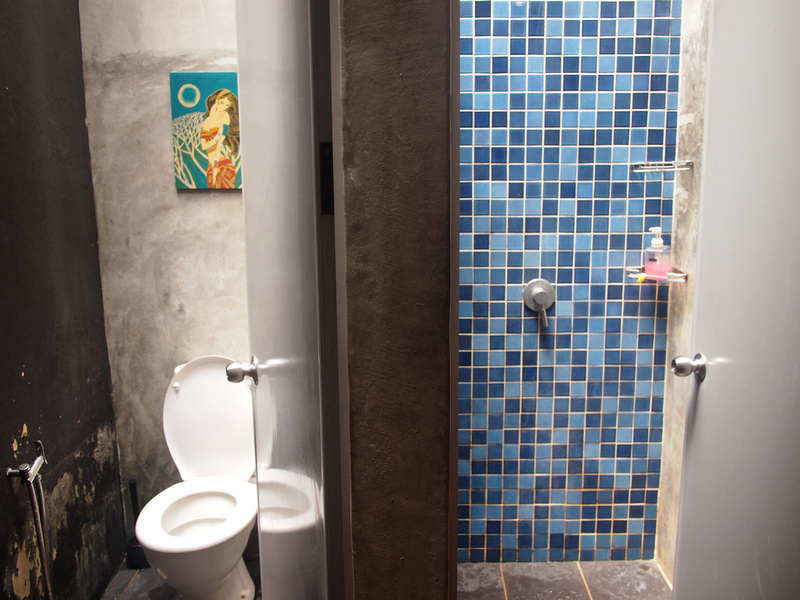 The bathroom was bright and clean, which is always a plus for a shared bathroom, though there didn’t seem to be enough bathrooms for the amount of rooms in the guesthouse. It wasn’t busy when I stayed so I didn’t have to wait for a shower. It’s a fascinating old building, with many of the original features still intact. 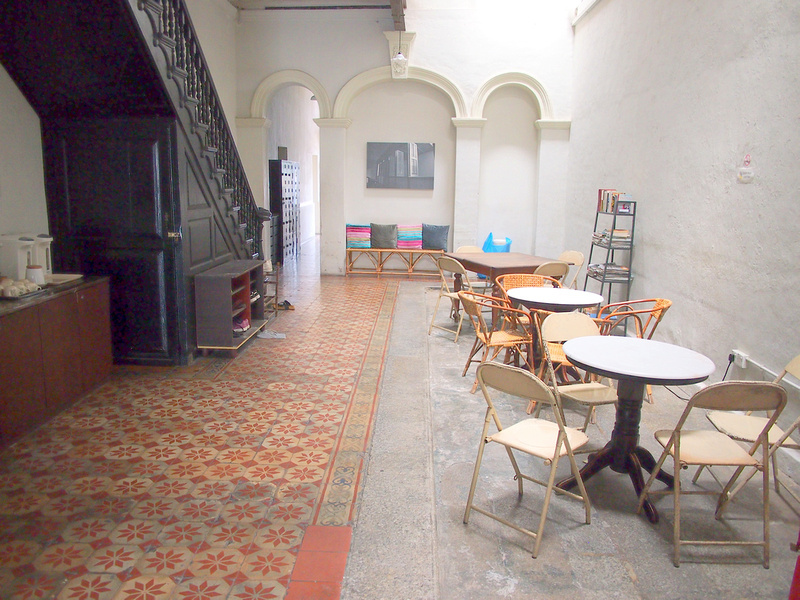 The common area is a cavernous space with lovely tiles and a old wooden staircase. There is a public computer those without a device of some variety, and there is free wifi. I couldn’t get a signal in my room so I had to do my internetting in the common area. 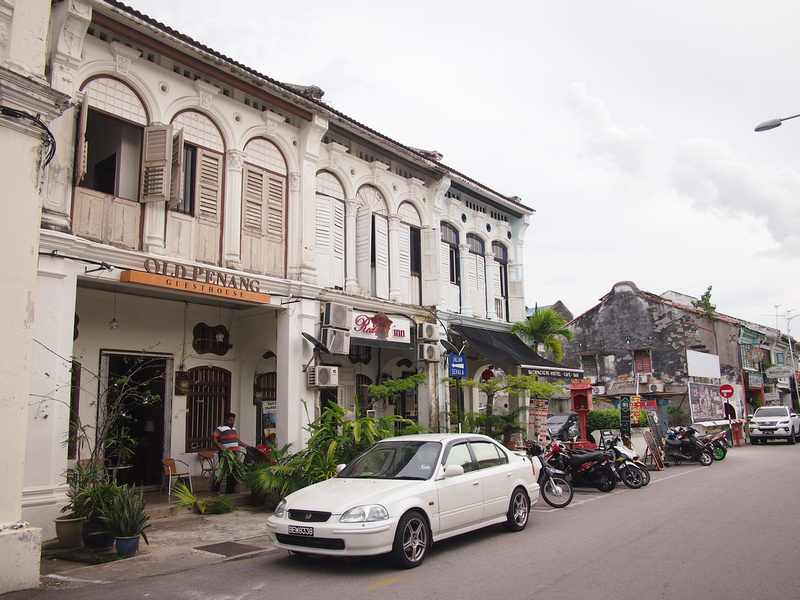 In terms of location, Love Lane is about as central as it gets, and it’s home to many backpacker accommodation in Georgetown. At night the street transforms into a mini Khao San Road (mini being the operative word) where the bars on the street will try and entice you to their party. Don’t worry though, Bangkok it isn’t, so you will not be kept up by noise if that is not your thing. There is ta and coffee making facilities, and a basic breakfast of toast of provided. 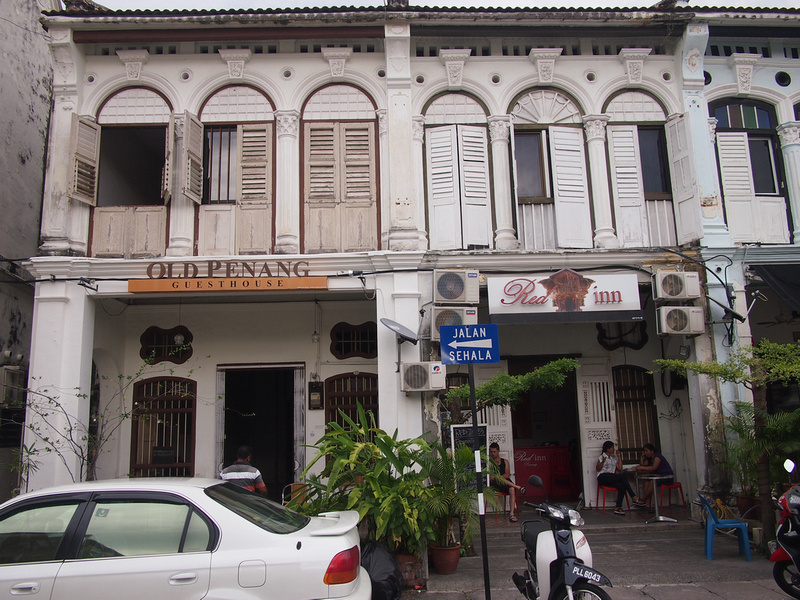 You are in Penang though, so you really should be eating out! 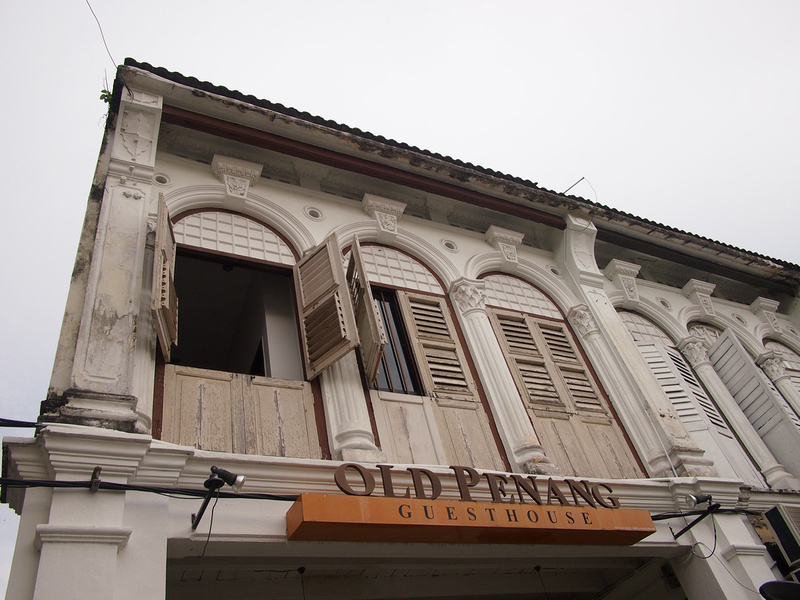 Book the Old Penang Guesthouse online or search for more hotels in Penang.